Sweet and feminine, Tenley exudes romance. 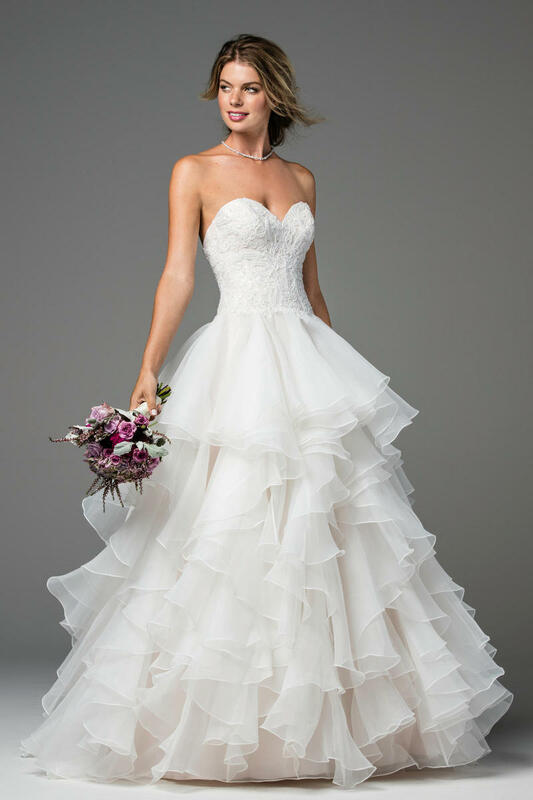 Perfectly-placed ruffles create a full skirt of Matte Organza and Tulle while the corset boasts an intricate Neve Beaded Motif. Sweep Train.